America’s most vulnerable senator Thom Tillis wants Republicans to resurrect the failed 2017 healthcare plans he pushed that would gut protections for preexisting conditions and raise premiums for North Carolinians. On the heels of his bright idea to resurrect disastrous 2017 health care plans, Tillis reintroduced the “Protect Act.” It’s clear though that the only thing it’s meant to protect is vulnerable senators like Tillis. That’s because the new bill would not “disallow lifetime or annual limits, cap patient out-of-pocket costs, require coverage of essential benefits, prohibit gender rating, or provide subsidies to make premiums more affordable,” according to Kaiser Family Foundation. Senator Tillis voted to confirm oil lobbyist David Bernhardt as the new Secretary of the Interior, selling out coastal Carolinians, local economies, and our pristine beaches in favor of an a former oil lobbyist intent to open up the North Carolina coast to offshore drilling – despite the fact that hundreds of North Carolina businesses and organizations have come out against offshore drilling. #TBT to Tillis’ first ever speech on the Senate floor to promote opening up our coasts to offshore drilling, a position he confirmed last month, saying that he continues to support “the process” of opening up our shores to offshore drilling. Decreases the number of Winston-Salem’s ward from eight to five and creates three at-large positions on the city council. Double-bunks the three African-American women serving on the council. Double-bunks councilman Dan Besse, who challenged bill co-sponsor Danny Lambeth in 2018, with a Republican councilman. Republicans plan to give teachers $400 each to spend on classroom supplies has a catch: there’s no new funding. Instead, it rearranges current funding to paper over bigger concerns. False promises. Deceiving teachers. Burdening underfunded school systems. 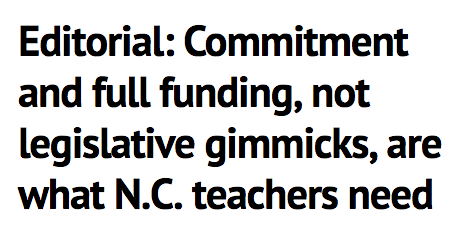 Sadly, this isn’t anything new for NC Republicans. Early voting is underway in the third congressional district, and NC Democrats are hard at work getting their message out to voters. 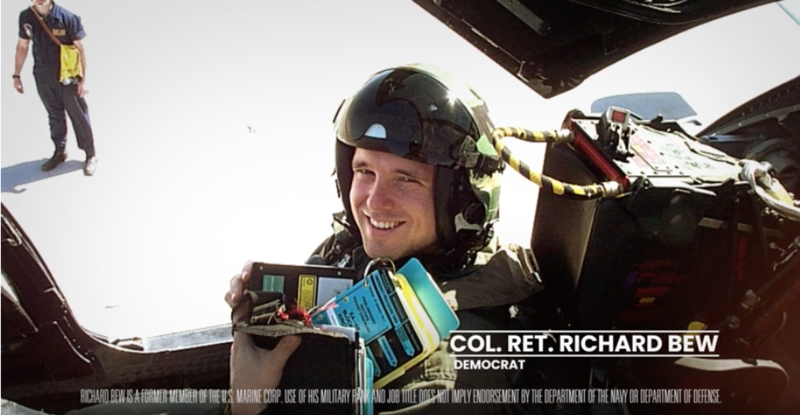 Meanwhile, over in NC-09, Democratic candidate Dan McCready announced his campaign raised a hefty $1.6 million in the first quarter. “Twisting the truth doesn’t make private school vouchers a more worthy government program. Allowing the program to become a slush fund where tens of millions of education tax dollars sit idle is irresponsible. If Phil Berger and his fellow legislative leaders truly cared about the state’s school children and accountability, they would praise and thank Marcus, Searcy and Nickel for their diligence and concern. They’d also apologize for their misdirected scorn and mockery.